With their debut album ‘Columbia’ dropping on September 21, The Blinders have announced they will follow the release with an extensive UK headline tour throughout October and November. The 22-date tour, The Blinders second headline tour of 2018, kicks off in their adopted hometown of Manchester at Academy 2 on October 15 and includes a show at London’s The Garage on November 7. The fast-rising alt-rock trio, whose current single ‘L’Etat C’Est Moi’ has been playlisted at 6Music, played sold-out shows in London and Manchester last week. ‘Columbia’ is bracingly thrilling debut which firmly places The Blinders at the vanguard of a new generation of politically engaged British guitar bands. 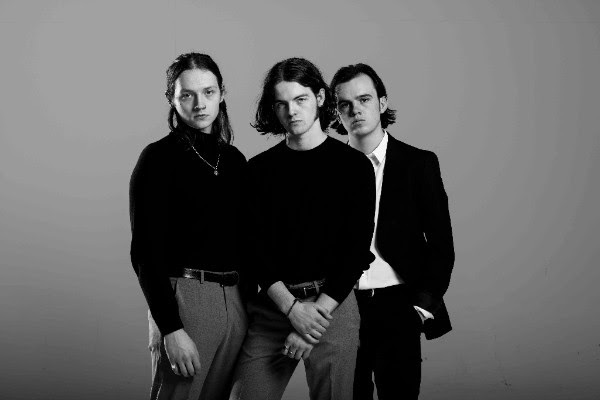 Loosely based around the concept of Columbia as “an alternate world informed by reality”, on the album The Blinders display a ferocious intelligence, as influenced by history, literature and art as they are by Britain’s current political and economic woes. As well as ‘L’Etat C’Est Moi’ – “a delirious indie stomper with a heart of gold” CLASH – the album contains previous single ‘Gotta Get Though’, which spent five weeks at No.1 at Amazing Radio. After a series of support tours and 2017 Festival appearances including Reading & Leeds, Isle Of Wight, and TRMSMT, The Blinders undertook their debut headline tour in February. Earlier this month they supported Cabbage (who called them the “best band in the country right now”) at their all-day festival at Manchester’s Ritz, and drew a huge crowd at the Neighbourhood Weekender festival. They play Kendal Calling festival on July 28, with more UK Festival appearances to be announced shortly.